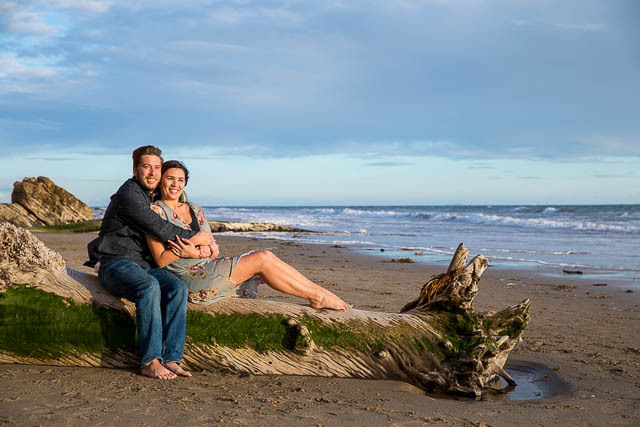 Paul and Suzy’s Hendry’s Beach Engagement photos were taken on a cold day, but the duo cozied on up together, along with their adorable pup, Dexter, and breezed right through it. They were even brave enough to dip their feet in the ocean! To top it off, we lucked out with a gorgeous sunset. And how did the two meet? 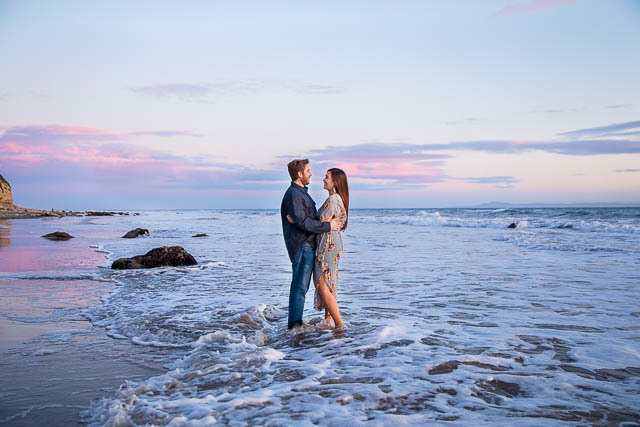 “For the engagement photo session we wanted to keep it local in Santa Barbara and at a place that we go to all the time, and most importantly, allows our dog, Dexter, to roam around. He is everything to us and without him there with us it would have felt like we were missing an important piece. 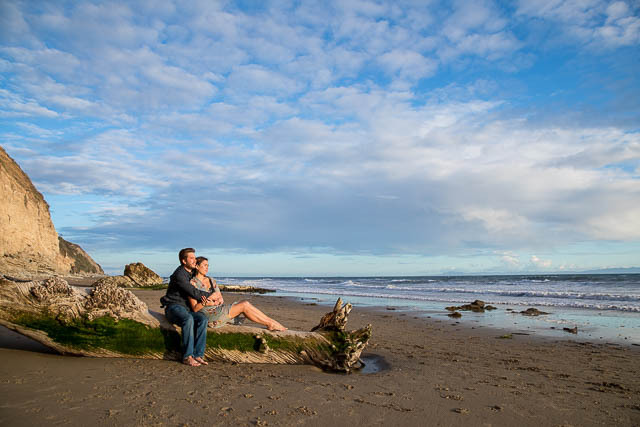 We also love the beach, the sunsets, and the islands in the background.” The colors at Suzy and Paul’s Hendry’s Beach engagement photos turned absolutely magical, with a variety of golden, purple and pink hues. And what are they most look forward to at on their wedding day? “Seeing family and friends and just celebrating with them. We have people coming from far places to be here on our special day. I look forward to the dancing, all the great laughs and seeing my beautiful bride.” Suzy and Paul’s Unitarian Society of Santa Barbara wedding day is just around the corner! Let the countdown begin!